Get access to my library of free resources to help bloggers + online entrepreneurs build your freedom business. Today, I want to talk about ways to increase website traffic and get incredible visibility so all your hard work pays off and your blog gets found by more people. Traffic is a biggie when it comes to blogging. 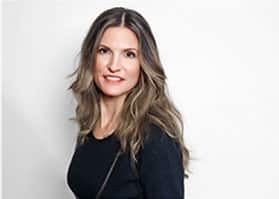 The reason is that if you want people to get to know and love your brand, and ultimately, become customers, they first have to know your business exists. It’s like you need a signpost to draw their attention to your business…and in the blogosphere, traffic = signpost. Truth is, blogging is a lot of work. When you see the rewards come in droves of traffic, you want to roll up your sleeves and keep the momentum going, no? On the flip side, when your blog traffic plateaus or even goes down, it can kill your enthusiasm for blogging altogether. We don’t want that to happen. In this post, I’m sharing strategies that have helped me increase my blog traffic so that you can increase the traffic to your website too. Before I continue, I should tell you the one thing I did that made my traffic take a nose dive. Yep, I said it. I did nothing. Didn’t promote my posts after I published them. Just let them sit there. And my blog traffic dropped fast. I know this because my traffic was on the rise and I thought Good, I’m able to drive traffic to my website on autopilot now and I can ease-up on content promotion. Let’s just say lesson learned! Ease up on content promotion = take down my signpost = no traffic. Which is pretty much the gist of it. 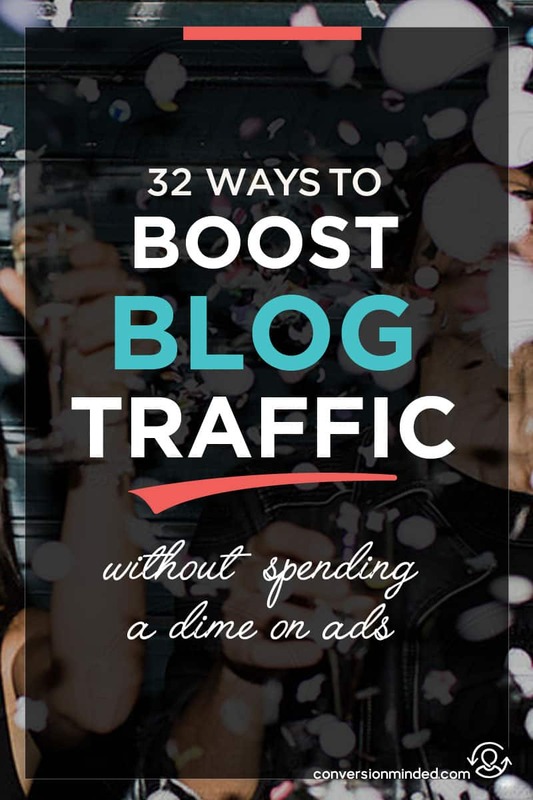 There’s a whole lot you can do to get blog traffic without spending thousands of dollars on advertising. You just need to understand the traffic sources available coupled with these techniques to double and triple your page views every month. Decide which social media sites you want to lean on and work to build a following on those platforms. Social media will be a huge source of blog traffic if you approach it right. Spend some time actively engaging on those sites and sharing other people’s content as well as your own. I cover more on creating an effective social media strategy in this post. Give your website a boost in traffic by making sure you include your URL on all your social media profiles. You’ll be amazed at how much traffic this can drive to your website. I know you’re a busy girl. Still, posting regularly and frequently on social media is going to make a huge difference in your ability to build a following. Of course, we can’t be on social media 24/7, and scheduling tools will automate your posts. You can look active without being active. Make sense? My favorites are SmarterQueue, Tailwind, and Later. The more fresh content you share, the more blog traffic you can get from social media and search engines. Updating your blog regularly also helps readers get to know you and keeps them coming back for more. Fresh content doesn’t always mean new blog posts. You can boost your blog traffic by updating older posts, especially those that are ranking on page #3. Still wondering how to get traffic to your blog? Pick a lane and stay in it. On the superhighway of blogging, it can be tempting to switch gears and write about many different topics. The more you can focus on one topic for one specific person, the easier it will be to build your audience and attract your ideal customers. Focusing on one topic will also help Google understand what your business is about, which means your posts will appear in search results. This one’s a biggie. You want that when people look for important terms related to your business, you’re up there on page #1. I find that by focusing on just one topic, I spend more time doing what I should be doing to build my business, and less time getting distracted and checking my junk email. Share buttons are what you see at the end of this post. Image share buttons are what you see when you hover over my blog post image. If you’re using WordPress, Social Warfare (that’s an affiliate link, but I only recommend products I love and use every day) is the plugin you want to use. While you’re at it, add a “click to tweet” to your post to encourage people to share it with their followers. Comes with Social Warfare. Woo! When people enter important terms into search engines, you want them to see your blog post. Learning basic SEO will help you optimize your posts for search engines and improve your chances of ranking on page #1. If you’re ready to up your SEO game, my SEO guide for bloggers is a great read. I know it takes what seems like forever to write posts, and if you’re like me, you’re tempted to call it a day once you hit publish. Please, friend, don’t be like me! As I mentioned above, promoting your posts consistently is what’s going to help you get more eyes on them. After pouring your heart into your content, you owe it to yourself to put it in front of your audience. I cover content promotion strategies in the next steps, but for now just know that in the same way you set aside time to write your posts, you need to set aside time to let the universe know about them. If you write your posts on Mondays and Thursdays, set aside time to promote them on Wednesdays. Ok, now for the good stuff. The steps I’m listing here are a checklist of things to do after you publish your posts to drive traffic to them. Let’s walk through each of these. The first thing to do once you publish your post is to share it to all your social media accounts. As a rule of thumb, I have accounts on most platforms, but I am not active on all of them. That would be humanly impossible! Still, more social media accounts means more eyes are on your content, so it makes sense to create profiles on as many as possible. Pinterest is my #1 traffic source of blog traffic. What many people don’t realize is that Pinterest is more than a social media platform, it’s also a search engine. If you want more people to find your content, make sure you pin it to Pinterest first. Make sure you create a pinnable image, which is a fancy way of saying create a vertical blog post image that includes your brand elements (logo, icon, URL) and the title of your post. This pinnable image is what people will see in their feed and the image that will be pinned when people share your post from your website. Add a description to your pin image so that when people share it, the description is there with it. The description should include the title of your blog post plus any other descriptive keywords that people might use to search for your pin. And of course, a call-to-action. 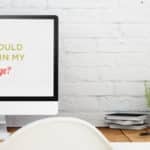 If you want to get an incredible amount of traffic to your website, get on the list for the Pinterest Traffic Bootcamp. Enrollment opens July 16, 2018. Twitter has helped me increase website traffic so I spend a lot of time on this platform. It’s my #2 source of traffic, right behind Pinterest. With Twitter, you can load up on the tweets. Tweet a link to your post right after you publish it. Then use tools like Buffer or Hootsuite to schedule more tweets throughout the day and coming week. Make sure you include hashtags and create multiple variations of tweet text. Twitter’s latest algorithm update will red flag duplicate tweets. You may be using your personal profile for updates or you may have a branded business page. Either way, make sure you share content on Facebook and work to build your following. Even though organic reach is a ghost of days gone by, Facebook is my #3 source of traffic and I have only a handful of fans. There must be something to it. Groups are Facebook’s secret sauce, so join some and share, share, share! Don’t be spammy and share only links to your blog. There’s an etiquette to Facebook groups. The best ones encourage sharing, Q&A, and genuine conversations. Join a few where you feel like you can contribute and learn. Then, if you see an opportunity to share a post or answer a question, leave a comment and include a link to a relevant post. Always check the group rules. The group admin will provide guidelines and let you know when and if it’s okay to share promotional links. Psst…Join my Facebook group and network with other bloggers, professionals, and entrepreneurs. You’ll have access to exclusive videos and training from me, plus multiple opportunities to promote your business. I confess, my brain has room to tackle one beast at a time, and I’ve been a Pinterest girl ’til now. I’m just getting started on Instagram and shared my first post there today. Woo! You’re probably way ahead of me on this one, so if you have any epic tips on how to build a blog audience on Instagram, please do share. By the way, have you tried Later? I am in love with this Instagram scheduling tool. I had been dreading Instagram for the longest time because I couldn’t figure out a way to share images from my desktop instead of my phone. Then, along comes Later and solves that dilemna for me. Update: I now have 8K followers and am getting traffic from Instagram (the key is to use hashtags and post consistently.) I expect that as my followers and engagement increase, Instagram traffic will exceed Facebook. Fingers crossed! Google+ is worth posting to, not only for social traffic, but because it’s Google. Being active on Google+ can help your posts rank higher in search results. I’ve noticed that as my Google+ following increases, my traffic also increases. It’s now my #4 source of traffic. Don’t forget to share to Google+ communities! If your audience is on LinkedIn and you have a decent following, you’ll want to share your posts there too. It’s not a huge traffic-driver for me, but hey, it all adds up. LinkedIn has groups, much like Facebook, where you can share your posts. If your people are on LinkedIn, make sure you leverage groups. Before their latest update, it was easy to share to groups – all you had to do was post your update, select Share to Groups, and choose groups. Now you have to go to each group’s page and share manually, which takes more work. Who said promoting a blog was easy?! I’ve been using SmarterQueue for the past few months in a quest to find the perfect scheduling tool. I use it to share evergreen posts to Twitter, Facebook, and LinkedIn. My organic traffic has noticeably increased since I started using it. The price is perfect at $20 a month for up to 4 social accounts. After I share my tweet in step #10, I’ll use Buffer to schedule fifteen additional tweets during the first week to give them an initial spike in traffic. Note: I was hoping to replace Buffer with SmarterQueue, but alas, not yet! I’m hangin’ in with Buffer because I share other people’s content via Feedly and IFTTT, and Buffer integrates seamlessly with both of these. Tailwind is Pinterest-approved, so you can schedule pins all day long and not worry about your account being suspended, which is HUGE. SmartLoop – the ability to recycle pins is what made BoardBooster so special, and Tailwind has been on the case. It’s in beta and should be available soon. Stay tuned! Curious about subreddits? They’re just like Facebook groups. No biggie there. The real question is Can Reddit really help boost blog traffic? I’ve seen amazing blog traffic, and I’ve seen crickets. I’ve also been banned from some subreddits. So while I’m on the fence about it, the boost in blog traffic is noticeable and makes a difference. Reddit traffic tends to convert pretty well. Just be careful about how you add links. Best practice is to approach subreddits the same way you would approach Facebook groups. When you come across a post or a question where you can provide value, include a link to your post within the comment. 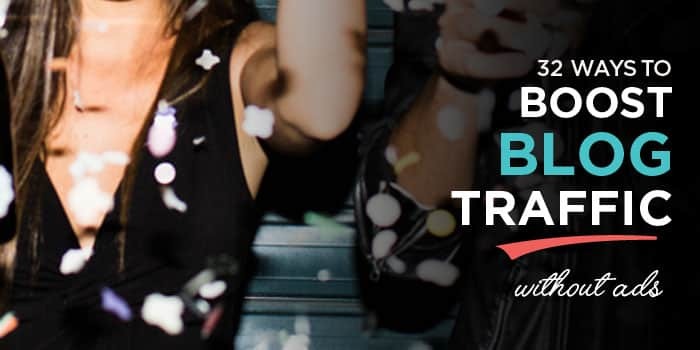 I’ve been using BizSugar for two years and have gotten enough traffic to keep using it. Like any other platform, the more you share, the more visible you become. That’s when the magic starts happening. If you blog about entrepreneurship, Hacker News will get you traffic. Plus, it’s so easy to submit your posts. Just share the link and a title, and you’re done! If your blog has anything to do with growth hacking, startups, or tech, Growth Hackers is another place you can share your posts. What can I say about Scoop.it? First, it integrates with Twitter. If you have a following on Twitter, you can hit the ground running with a decent number of followers on Scoop.it. To add content, either set up an RSS feed or add your posts manually, which is what I prefer to do. This way I can add specific tags to each one. This is my new fav…don’t ask me why! It probably has to do with the design of the feed. I like hanging out on Flipboard, which is how you should approach the channels you choose. If you love a particular site, dig in. Keep in mind that you have to give each one a solid try before you decide if it’s working for you. For instance, I originally thought BizSugar was a waste of time. Then I started getting comments and traffic. With any platform, make sure you hang in long enough to evaluate the performance. No doubt Flipboard is a keeper for me. I get blog traffic from it already and enjoy spending time on it. Win, win. Quora is a powerful source of traffic and business. Quora is a Q+A forum where you can find and answer questions on just about any topic. The trick on Quora is to provide detailed answers with a link to a relevant post, which will increase your website traffic. I’ve received traffic and a number of clients using this method. I love the layout of Tubmlr. I’ve noticed more and more blog comments coming from Tumblr users, which means it’s driving a decent amount of traffic. Medium is a blogging platform, like WordPress or Blogger, where you share “stories” (on Medium, stories are posts). I haven’t tapped into how to increase website traffic yet, but I’m working on it! Medium is designed to be a standalone blogging platform, so it’s best to republish your entire post. The downside is that you’re not directing readers to your website, so getting traffic can be tricky. I’ve been experimenting with excerpts linking back to the original post and will keep you posted on my results. Create an RSS feed and add your blog to Bloglovin’. This is another one I’m on the fence with, but it’s easy enough to add your feed to Bloglovin’ so might as well do it. Make sure your post images include an enticing description, which I’m sure you’re doing already for Pinterest. Just note that your featured image description is the one that will be added to Bloglovin’. You may want to consider using excerpts and directing people to read the full post on your website. (In WordPress: Settings/Reading/Summary). If I’m being honest, I have a Triberr account but haven’t used it. Every time I login, I’m immediately overwhelmed and hit the back button, quick like. Having said that, Triberr seems like a good platform. It’s based on “tribes” of people with similar interests, niches, and expertise who form groups to promote and share each other’s content. Hmmm, sounds like Tailwind Tribes (#19 above). Yep, same deal here. Only difference is that Triberr folks share content on Twitter. If you blog about marketing, business, or entrepreneurship, Zest can be a powerful method to promote new blog posts. It’s a high-quality content streaming site that works through the Chrome extension. Once you install the extension, you’ll see a stream of hand-picked content on your dashboard. Don’t get distracted by all those juicy posts, friend! The real juice comes when you “suggest a post” and submit your own content. I’ve submitted six posts and receive 30-250 clicks a post. Not bad for free traffic, right? Looks like Zest needs to go on our blog promotion tracking sheet. This one’s a wildcard, friends. I’m not sure where to add Snip.ly in this list, or if I SHOULD share it. Sniply is one of those tools that enables you “hijack” another person’s hard-earned content with your own. Because of this, it’s sparked serious debate among marketers. When you “sniply” a post, you add a widget to it that links to YOUR post. Let’s say you find a piece of content that is perfect for your audience. You create a sniply for it with a link to your post and share to, say Twitter. Someone sees your tweet, clicks on it, and reads the post. Then they click on your sniply. Bam. Now they’re over on YOUR site. If you’re clever, your sniply will include call to action copy, such as Grab your daily marketing checklist here. Done well, a sniply can seem like logical next step to take after reading the shared post. Still want to know how to get more traffic? Time to pull out your wallet, friend. If you start small, limit your daily budget, and test ad copy, images, and landing pages, you can drive a decent amount of traffic for less than $10 a day. Before you start with Facebook ads, you need a rock-solid strategy. In other words, make sure the post you’re promoting includes a content upgrade or CTA to encourage sign-ups. Or, run your ad to a landing page with your freebie, challenge or email course . . . you get the gist. If you’re a superhero, which of course you are, you’ll include an option to purchase something in your delivery sequence (say, a $7 mini-offer). Take that income and reinvest in your ads and you’ll wind up spending little to nothing. Now who’s a game-changer? Pinterest ads are my secret weapon for traffic. They give new pins a boost in visibility while you wait for organic repinning to take over as more people see your content. Once you have some repins, you can ease up on advertising. The best part: You can get great results with an ad spend of only $5 a day. Redditors can be so tough. Still, the traffic you can get is no joke, so I recommend giving ads a try. Again, you don’t have to spend much to test them out. I’d wait until you have a course or paid offer to promote because I think that’s where the magic really happens. With Reddit ads you can choose to block or show comments. I suggest showing them because Redditors are all about being social. When in Rome, right? Quuu Promote is a new platform I discovered where people share each other’s posts to Twitter, Facebook, Google+, and LinkedIn. Think of it as a community of sharers. I’ve used Quuu Promote to promote posts and have received a decent amount of blog traffic. Looks like their pricing structure has changed to credits. Somehow, I’ve been given five free credits and haven’t had to pay yet. I’m sure that will change soon! Any other ways to increase website traffic? Let me know what you’ve got and I’ll add it to the list! I love sharing everything I know about online marketing to help entrepreneurs and bloggers build profitable businesses that set your spirit free. Sandra: Thanks for including BizSugar in your guide on how to drive massive blog traffic! So I tried Reddit before but it didn’t work for me the way I hoped. I was trying to be very social, but the system wouldn’t let me create a comment. They said I was moving too fast with trying to add comments. I wasn’t posting any links…just commenting. That was a bummer. I wanted to try Reddit ads, but I am still on the fence about this one. One strategy I love is Quuu promote. I found them some time last year. I took advantage of a sale from Appsumo. They were running a special 20 credits for $39. I hopped on that deal really quickly even though I had no prior knowledge of the company. I am so glad I did. Anyway, Quuu really does work. I wrote a post on how to make your blog stand out. I got 60 extra clicks this month out of 280 social media shares. To me that’s great! I didn’t have to do anything but ask Quuu to promote my blog post for me. Hi Katrina, Looks like you discovered Quuu before I did – love, love, love it! That “you’re doing too much” on Reddit has to do with your karma. You have to accumulate a certain amount – have no idea what it is! – before you can comment/post without having to wait 8 or 9 minutes or whatever. It’s so frustrating. I think I hit a good karma level at one point and I didn’t get that message, but then I was banned from one or two subreddits later on, which must have affected it all over again. I’m looking forward to testing ads on there just for the heck of it. Btw- love your blog too! Noticed you’re looking for guest writers. Would love to collaborate! There was a time I thought that blog traffic just comes! You know, instead of just working hard on promotion! 🙂 Poor me! But now I know that it takes almost, even more, effort than content creation. And thanks to this post I know pretty much about how to boost traffic. Hey Owen, it does take time to promote your posts but totally worth it. Once you get a system down, you can even hire an assistant to do it for you. Have fund with it! I fully agree on your good points, even though I have personally dumped Facebook – reasons given on https://www.blunck.dk/facebook. Quora has also been a very effective tool for me, so I am glad you included it. Thanks Henrik. I’m so glad you enjoyed the post. Spending more time on Quora is on my list for 2018. Another great way that I found to be helpful for getting huge traffic is from free classified ads site. There are 1000 of free classified site. We can just make a banner of our blog and we can get started Advertising. Believe me it brings lot of traffic to my blog in less time. Thanks for sharing, Abdul. Sounds interesting. Hi Sandra, awesome post I must say. Getting organic traffic will take time. For instant traffic, as you mentioned, we can promote our recently published post on social media sites like Twitter, Facebook groups, Google+ and LinkedIn. Even blog community sites like Bizsugar, Do Splash and Growth Hacker. Thanks again for this post, so full of great tips and they’re all actionable. Your blog provided us with valuable information to work on. You have done an impressive job. Thanks for sharing. We’ve got work to do! Hey there. I’m Sandra. I help entrepreneurs build profitable online businesses that ignite your creativity and set your spirit free. Ready to start your blog? Use this blog business plan to set the foundation for success. Discover your true calling once and for all and use it as a platform to build your freedom biz. 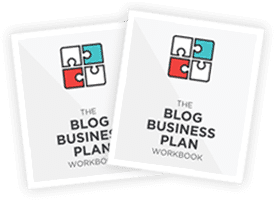 Get your profit plan going for your blog so you can turn it into a full-time business. Create a brand that makes you smile and effortlessly attracts your ideal customers. It’s time to grow your dream business! Get access to free resources, eBooks, worksheets and templates to help you drive and convert incredible amounts of traffic, plus my personal Web Optimization Checklist, a tool that turns your website into a 24/7 profit machine.